Filled with flowers, leaves, and twining stems, this cross is a celebration of all that blooms and grows. Inscribed on the back are words by Hans Christian Andersen: "Living is not enough, said the Butterfly. One must have sunshine, freedom, and a little flower." 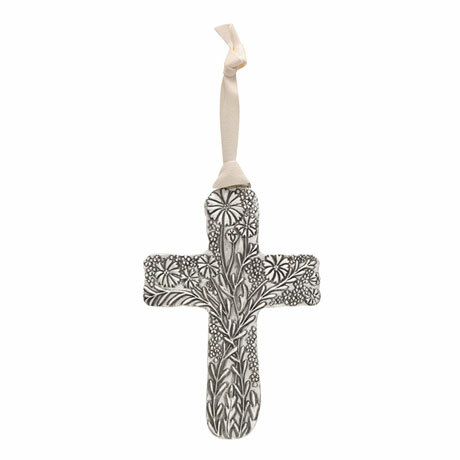 Designed by American artist Cynthia Webb, who carves the original in jeweler's wax. 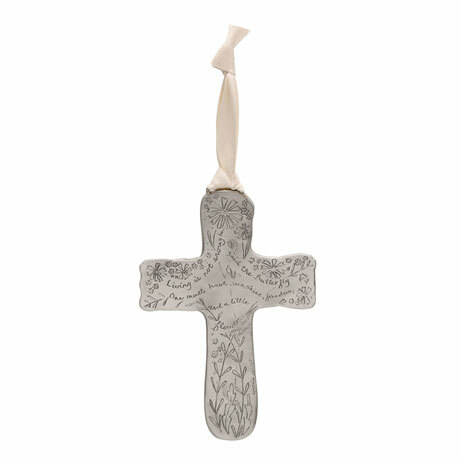 Hand-cast pewter cross arrives gift boxed with a story card and hanging ribbon. 4½" x 6½". Made in USA.